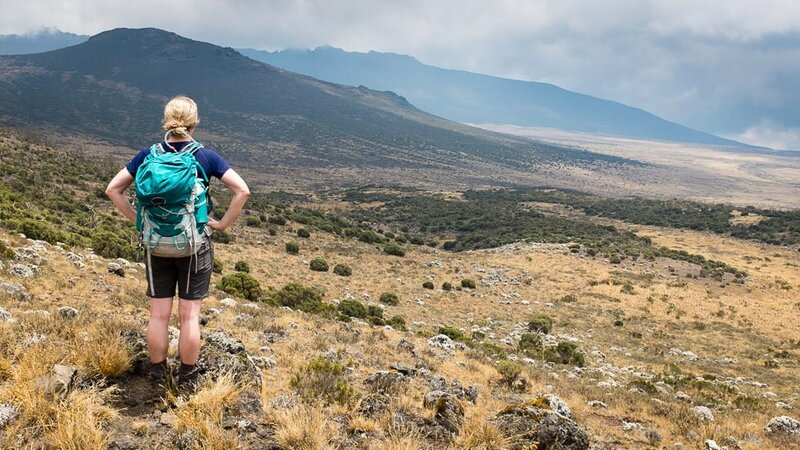 This is the third part of my day-by-day account of what it was really like to climb Mount Kilimanjaro. If you missed it, Day Two is here. 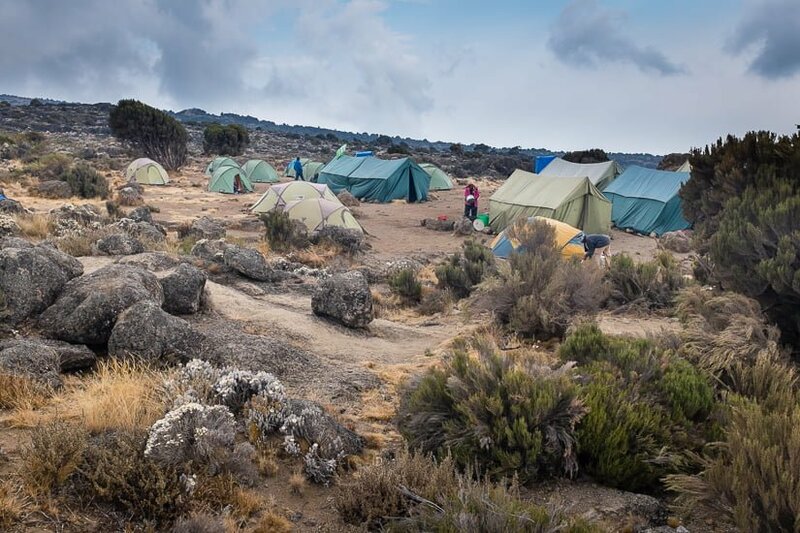 As dawn broke on day three, and with barely a cloud in the sky, we got our first proper look at where we were going: the highest point on Mount Kilimanjaro. 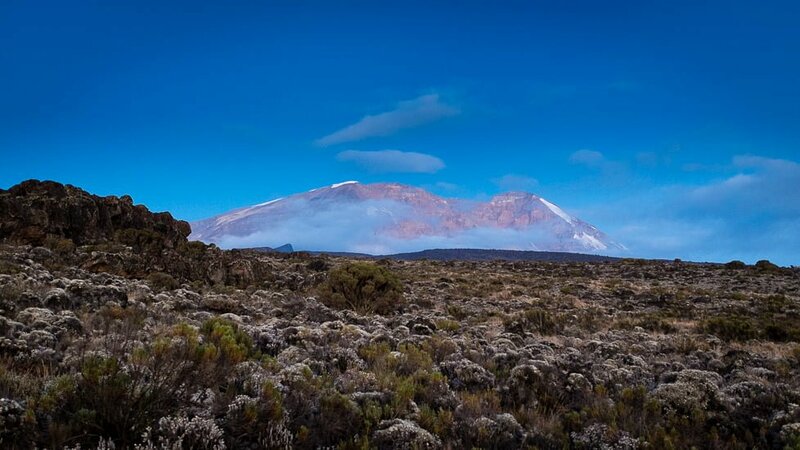 In case you didn’t know, Kilimanjaro is a volcano and actually has three peaks or volcanic cones (not two, as Monty Python would have you believe – watch this if you don’t know what I’m on about!). They are Shira, Mawenzi, and Kibo, the biggest. 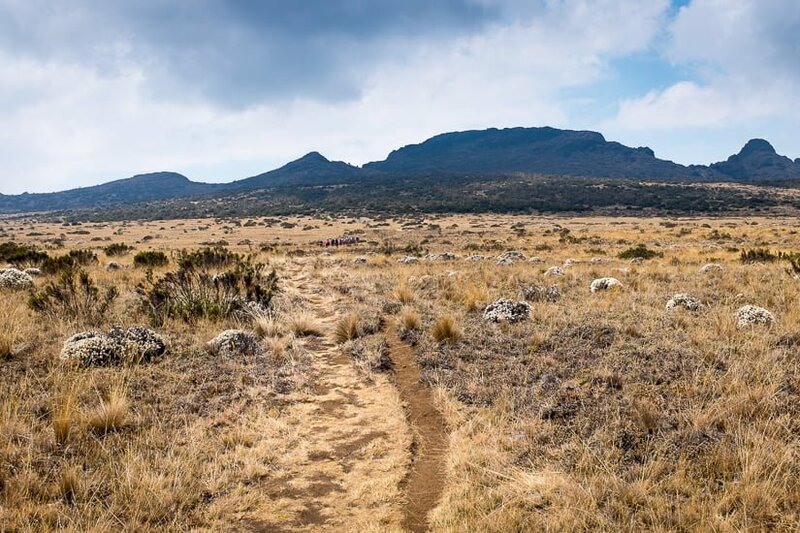 Kibo is home to the mountain’s highest point, Uhuru Peak, our final destination. 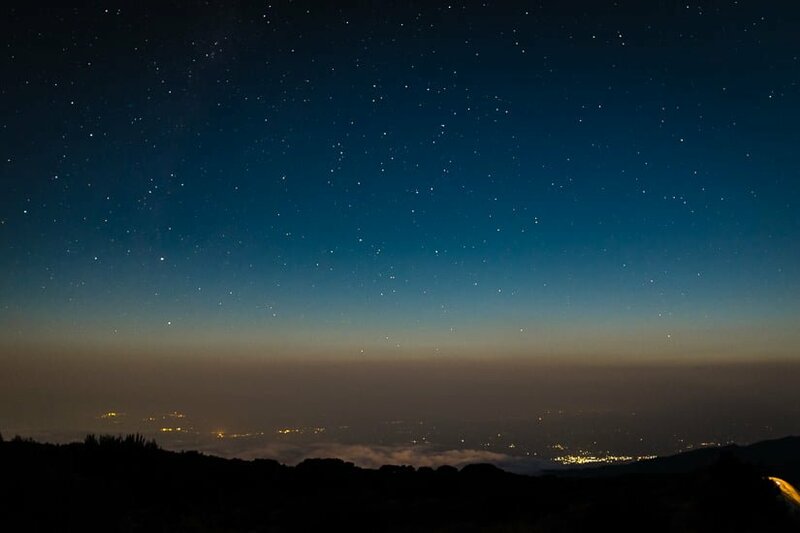 And for the first time we could clearly see it on the horizon with the pinky glow of the rising sun behind it. It looked HUGE! 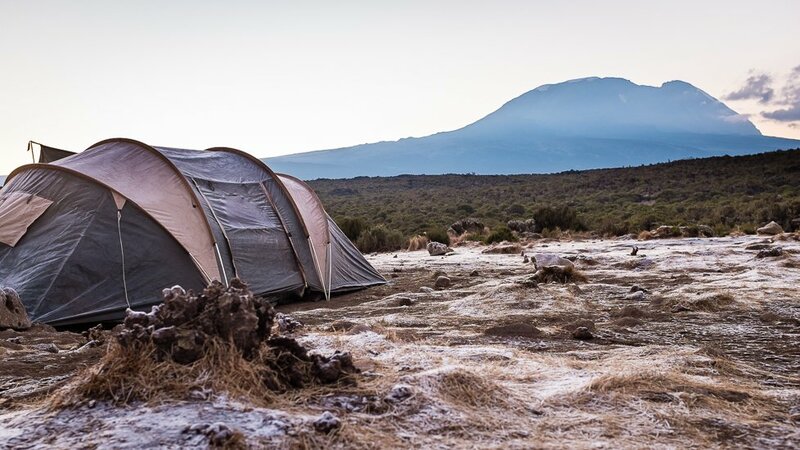 We emerged from our tents to a thick layer of frost. Even though the previous day had been warm and sunny, it’s surprising how dramatically the temperature drops as soon as the sun goes down. And despite having a 4-season sleeping bag, I slept in a baselayer, jumper, fleece top and bottoms, thick socks and woolly hat and I was STILL cold. But as soon as the sun rose the day started warming up and we had an enormous breakfast in the sunshine before setting off. As we were now at over 3600m I took my first Diamox tablet to help with any potential problems with altitude. My doctor had given me enough for two a day, but our guide advised that just one a day, half in the morning and half in the evening, ought to be enough. So I took just half, and pretty quickly noticed a strong tingling sensation in my fingertips, and later in my face. It’s a harmless and pretty common side effect, but slightly disconcerting to say the least! The other side effect that everyone experiences is the need to wee more. 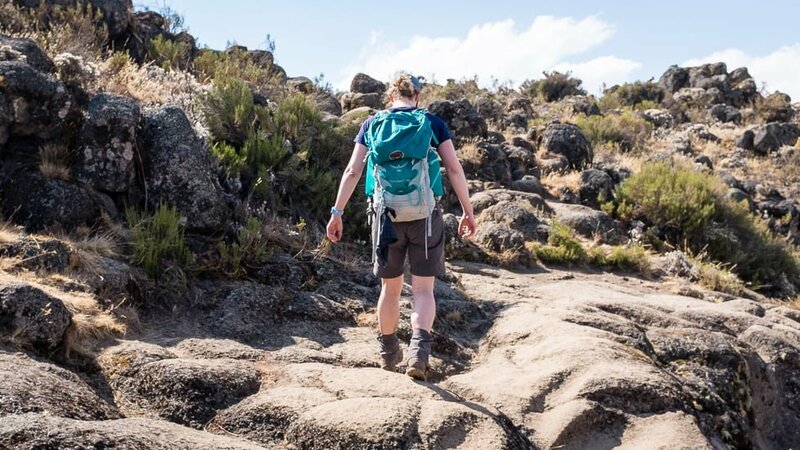 Coupled with the fact that you’re drinking more water than normal anyway, to stay hydrated, this means you’re stopping to nip behind a nearby rock or bush about every two hours! The unexpected bonus of this, though, is that regular detours off the path (sometimes quite a long way until you find some decent cover) mean you get to see the scenery from a different viewpoint, and over the course of the trip I did experience some pretty spectacular wee locations! 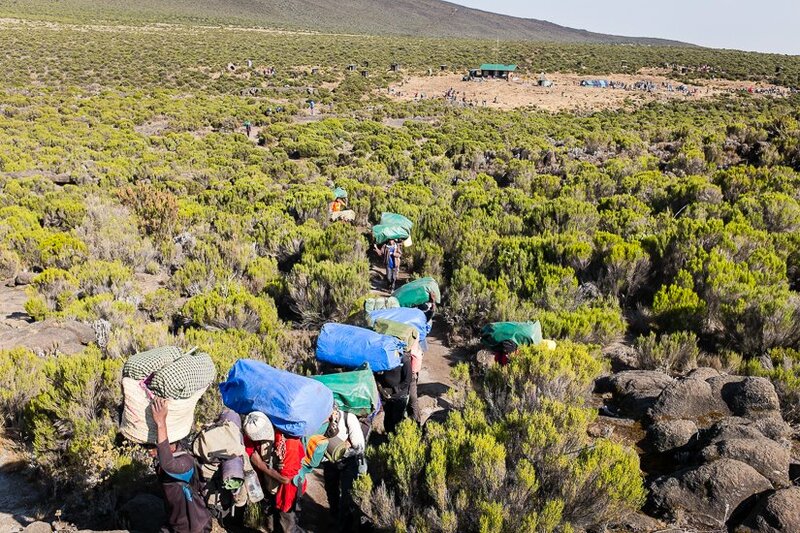 For most of the morning we were walking across the Shira Plateau, which stretches out for around 13km to the west of the main cone, Kibo. 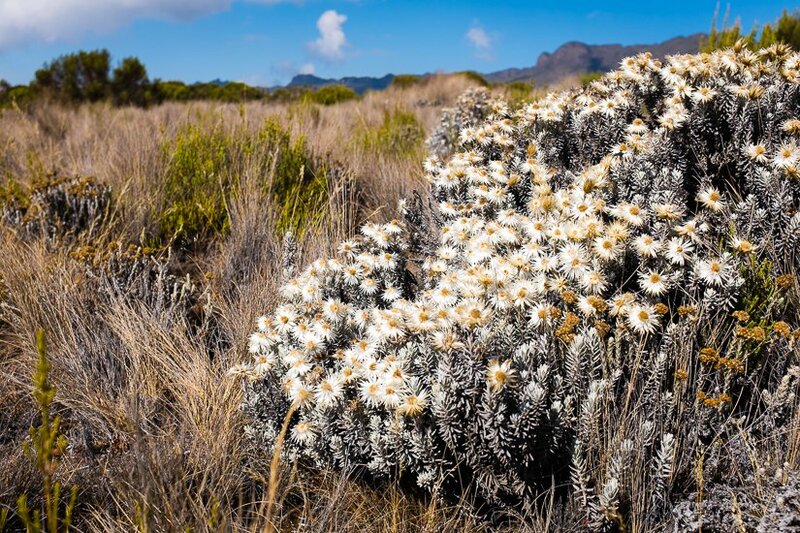 The Shira Plateau is actually a caldera (a collapsed volcanic crater), which is all that remains of an eruption that took place around half a million years ago. 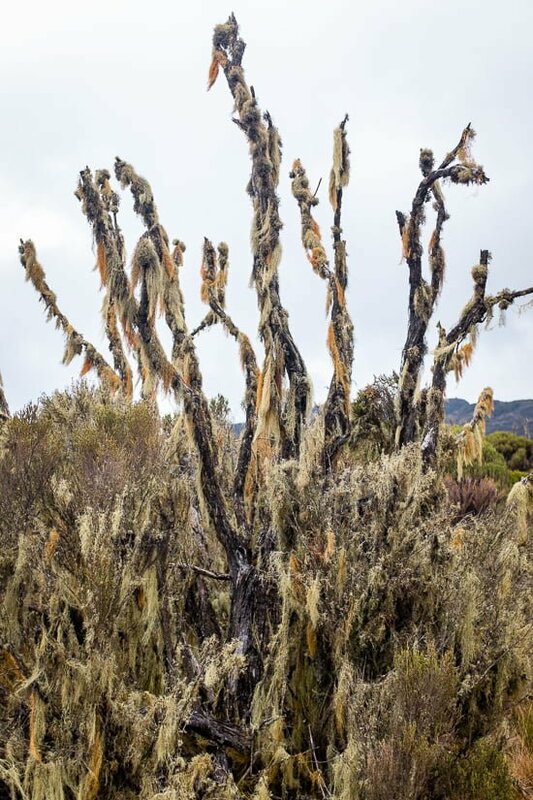 These weird dead trees covered with fluffy orange lichen were also pretty cool. Sadly the botany lesson has ended, and I don’t know what kind of tree this is. Except a dead one. 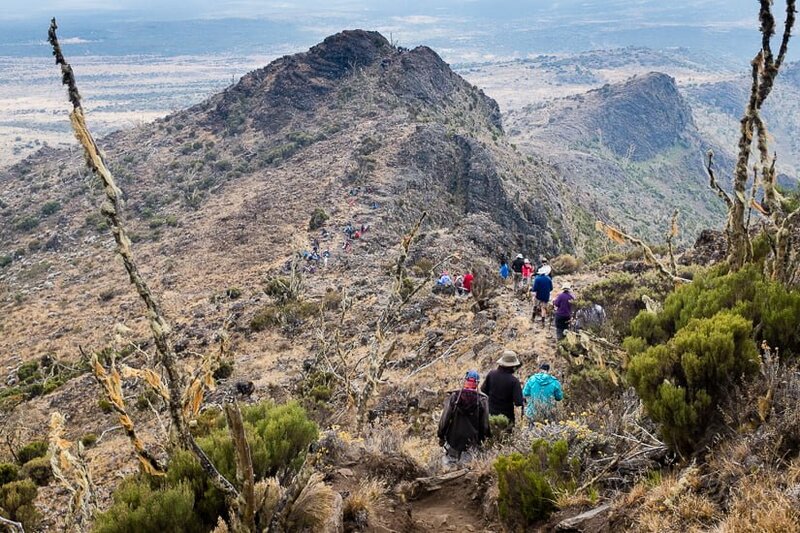 A lot of the walking on the Lemosho route is just about acclimatisation. 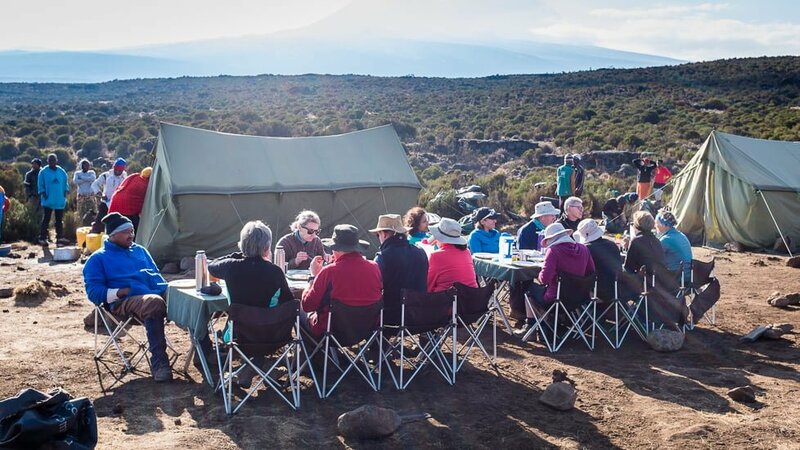 You don’t need to walk for 8 days: you can get to the top of Kilimanjaro much more quickly, in five days or even less, but then you run the very great risk of being wiped out by serious altitude sickness. 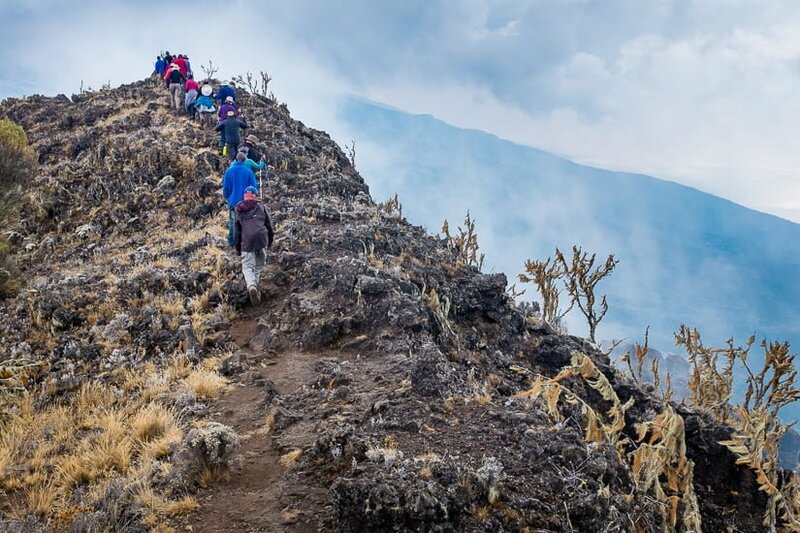 So the route is deliberately long and up-and-down to help you acclimatise, and to make it much more likely that you will reach the summit successfully. So on the afternoon of day three we did our first up-and-down: to the top of the Shira Cathedral and back down again. 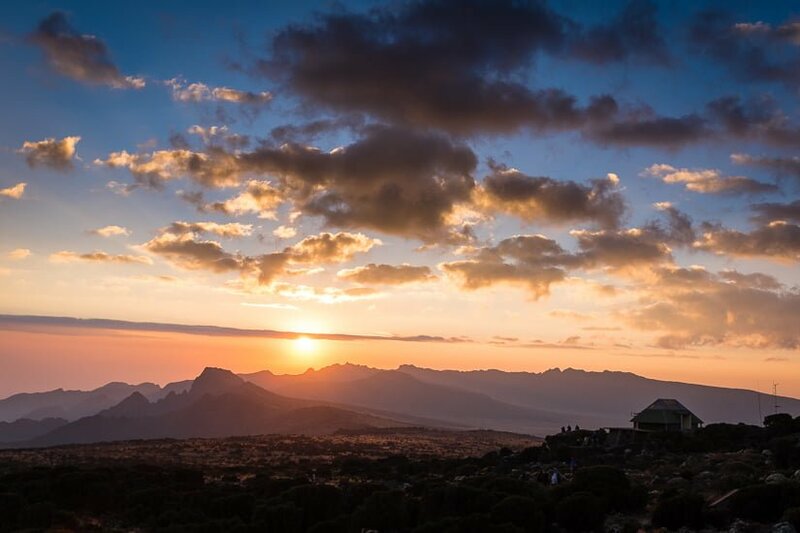 The Shira Cathedral is a ridge, just under 4000m high at its highest point. Its the smallest of the three peaks, and what remains of the rim of the original Shira crater before it erupted and collapsed. 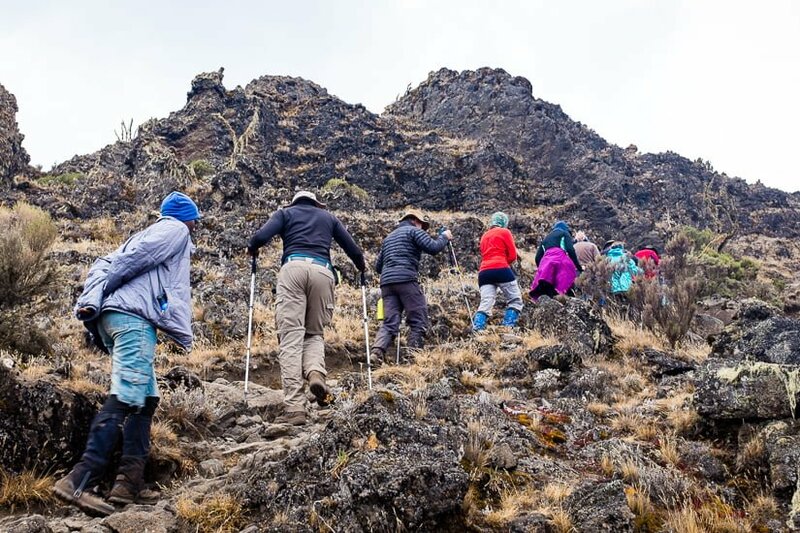 We didn’t need to go up it to get to where we were going: the aim was more to get a bit of extra altitude to help acclimatisation. It was a fun scramble too, though the ridge is very narrow at the top with a steep drop on both sides, so certainly not good if you suffer from vertigo! Still, if you could bear to look down, the view was pretty impressive. I don’t think a photo does it justice though, so here’s a tiny video (complete with wind noise so you get the full experience). After admiring the view (or trying not to look down) we headed back the way we had come. And an hour or two more walking (downhill, happily) took us to the next campsite, Shira II, at 3850m. From the campsite we could look back towards the Shira Cathedral, with the setting sun behind it. 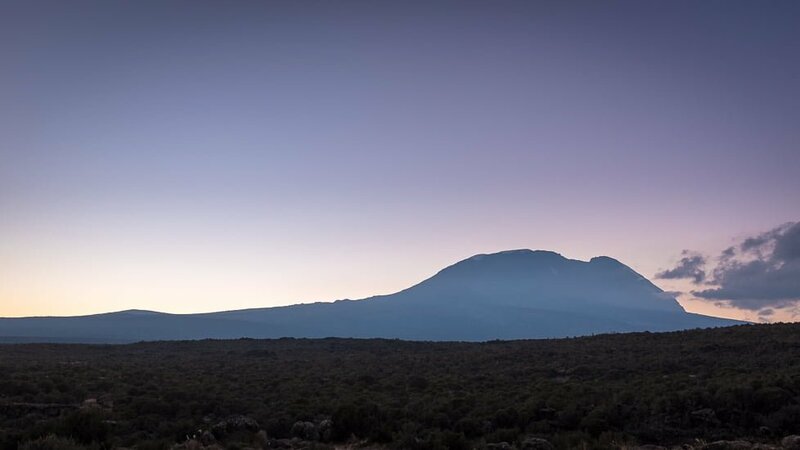 And if you looked in the opposite direction, there was our final destination, Kibo peak, with its glacier ice clearly visible against the blue of the evening sky. To read about what happened on Day Four, click here.